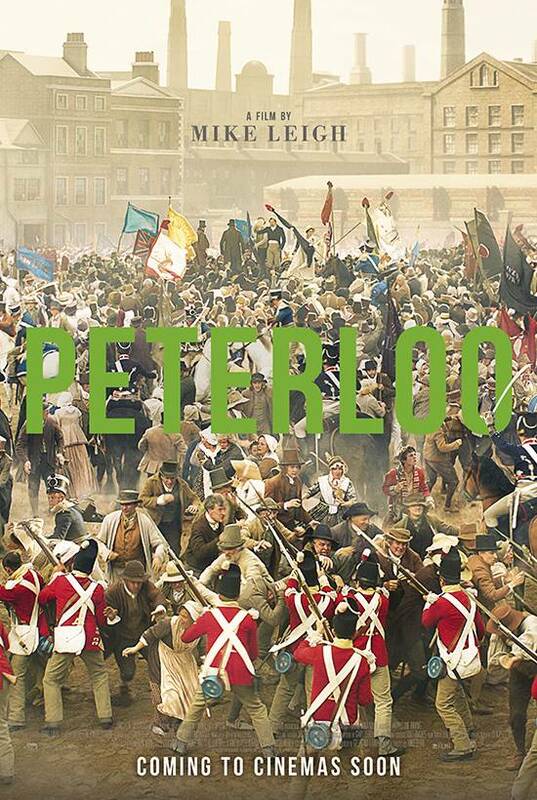 PETERLOO (2018, UK, Mike Leigh, 2hr 31 mins, Cert 12A) is an historical drama focusing on a little known event in British history, in 1819, where a large crowd gathered in Manchester to demonstrate peacefully for democratic reform and were forcefully dealt with by the authorities. Leigh uses a large ensemble cast to portray characters from the hunger and poverty of the working classes to the out-of-touch elite. Maxine Peake is a matriarch trying to hold her family together and Rory Kinnear plays the orator who speaks on behalf of the common man. This is a passionate, epic film that has relevance to the present day. This film is 2 hours 31 minutes long without an interval. Please Note: This film is in STUDIO 609 at 7.30pm - there is another film on the same night at 7.45pm in the Performance Hall. You cannot watch both screenings.